Are you ready to share your expertise and wisdom with other CLUB members? Want to learn from other CLUB members? Reach out to CLUB Members today, make connections, and log your connections! You are now in the CLUBconnect Challenge. It’s that easy. The more connections you log the better your chance to win! The CLUB member who has entered the most connections with other CLUB members will be recognized at our Anniversary Event, November 15, 2016. Need some connection ideas? You may be thinking about …. And many other topics …..
Log into the Members Only site to find out how to log your connections. Log all of your connections between now and November 13, 2016. The CLUB is a tight-knit community of women helping women, and everyone will do their best to help you. More information about CLUBConnect and how to reach out to CLUB members is available at CLUBconnect. We are looking forwarding to creating more connections among CLUB members through CLUBconnect! CLUBconnect is the new iteration of our mentoring program. 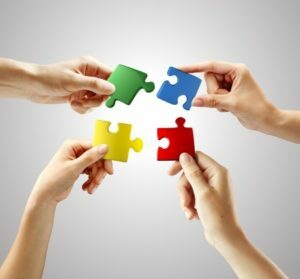 The mentoring program webpage has transitioned to CLUBconnect. All CLUB members are eligible to participate. The Club mentoring committee would like to welcome Heather Jerrehian as the newest member of the mentoring committee. Heather brings a wealth of experience to the committee and we look forward to leveraging her talent. The mentoring program draws on the wealth of wisdom and experience of Club members to inspire and promote the advancement of Club members. The CLUB provides various engagement opportunities for mentoring. Mentors provide short-term coaching on a targeted topic. A formal group of mid to senior level members meet monthly to identify, develop, and integrate personal brands and achieve professional and personal goals. (The Circle requires a formal submission and participants are chosen annually). Let Everyone Know You Are Ready to Participate! What to be a Mentor? Looking for Mentor? We are glad to have you on board! Visit the Club Profile page and make your mentor category selections. Identify Your Amazing Skills: Update your CLUB profile. Choose as many preselected options or add your own topics to help identify you via the site search option. Mentee Interests: Update your CLUB profile. Let the membership know your interests. Additionally, search for a mentor via the site. When you have identified potential mentors, feel free to reach out to them directly. For assistance contact us at mentoring@theclubsv.org. Do you love bringing people together? Have you been a member of the CLUB for at least 3 months? Are you looking to expand your network within The CLUB? If so, you may be a perfect fit to be the CLUB's Director of Community! We are looking for someone to help steer our many segments and micro communities (SF members, legal leading ladies, aspiring leaders, etc.) and chair our quarterly operating committee meetings. Expected commitment is 3 to 5 hours per month. Check on the discussion on the member's only site if interested. The Membership Experience Director is an integral role for developing the Club’s brand and enhancing the membership experience for the Club. The Membership Experience Director is responsible for spearheading the new membership experience. You will serve as the Club’s ambassador for both potential and new members. You will provide outreach and serve as a central point of contact for potential members, and ensure that new members integrate into the Club. As the leader of the Membership Experience, you are in a great position to meet and support other CLUB members, share leadership perspectives, and contribute to your fellow Club members’ professional goals. This is a new position that will give you the opportunity to create the vision for Member Experience program and build the architecture to run the program. In 2011, five women started building The CLUB, to create an environment where women can help women accelerate their collective leadership paths. In the years that followed, The CLUB has found strong support for building this community that enabled us to grow to 250 members across many professions and generations, while also delivering programming and services and expanding leadership within our organizations. To help guide us through the next critical chapters, the Board of Directors has appointed Kristiane Koontz to the role of CLUB President. Annie Rogaski, our president for the past three years, is moving to our Advisory Board and will remain heavily involved in The CLUB. Annie will continue to provide leadership to our Thriving Workplace Initiative, and will continue to walk and talk on Fridays, and to participate in our CLUB events. Diana Olin, who has served on our board for the past two years, will be serving as a consultant for new initiatives. Many thanks to both Diana and Annie for their board service and for the lasting impact they’ve had on The CLUB. Please join us in congratulating our new board members, Mindy Morton; Alice Katwan; and Judith Coley as our new 2016 board members alongside existing board members Karen Catlin, Laraine McKinnon, and Kristiane Koontz! Our main event for the fourth quarter was our 3rd Anniversary Party at the picturesque Fremont Hills Country Club, with a thought-provoking keynote by Sally Thornton on the future of work and women’s leadership. Sally offered a few time-saving tips: energy gives you more time so exercise is important (aim for 10,000 steps a day); cheat time by finding “multipliers” (e.g., a walking meeting with your team or cooking dinner while listening to a podcast); sleep matters; and outsource what you can (a great cleaning person is totally worth the cost). Mostly importantly, find work that you’re passionate about. 2015 signified the inaugural year of our Incubator Program, our Big Read Initiative, and the launch of our CLUBhouse in Palo Alto! Incoming 2016 President Kristiane Koontz presented her vision for the future of The CLUB and the importance of the CLUB’s Thriving Workplace initiative in shaping the dialogue on workplace policies and best practices that will help enable a critical mass of women leaders to thrive. CLUB members Jennifer Lotz, Kathleen Bost, Jo Ann Woodsum and Judith Coley received CLUBbie awards for their contributions to the CLUB this year. The CLUB’s Programming Committee is excited to announce the quarterly programming themes for 2016. In the First Quarter, we’ll explore power – how to accumulate power, how to be a strong leader, and how to embrace your superpower to propel you to success. Despite all of the strides made by women in leadership over the years, the percentage of women holding the very top positions remains disturbingly small. According to a CNNMoney analysis in 2015, only 14.2% of the top five leadership positions at companies in the S&P 500 are held by women. Even more startling, out of 500 companies, there are only 24 female CEOs. Equally troubling is the fact that the percentage of female equity partners has remained largely stagnant for nine years now, with women comprising only 16.8 percent of equity partners according to demographic data from Am Law 200 firms. Here’s a little homework to get you in the mind set for our First Quarter Theme - Did you know that just standing in a Wonder Woman pose can boost your self-esteem and make you appear more confident and powerful? On March 2, 2016 at Synopsys, the CLUB’s inaugural Incubator participants will host a panel discussion on learnings gleaned through the 12-monthIncubator program and inspire us with their personal leadership journeys. The panel discussion will be complemented by break-out discussions on developing leadership skills based on the Incubator Honeycomb format and finding your own path to leadership. While “bragging” can sometimes seem like a dirty word, the reality is that no one will know about your accomplishments unless you toot your own horn from time to time. We’ll spend the Second Quarter getting comfortable with the idea of self-promotion and how to do it effectively, both within your organization and externally, including through social media and other tools. CLUB Board member Karen Catlin will give a workshop on self-promotion and teach us how to promote ourselves effectively within our organizations. Attendees will have the opportunity to perfect their “elevator update” so they can be prepared when the opportunity arises for a little self-promotion. We’ll also have a workshop on use of social media to promote yourself, and we’ll partner with the Mentoring Committee on a micro-mentoring event exploring individual strategies for self-promotion. Prosperity often means different things to different people and your definition of prosperity can change as you move through various stages of life. Whether you want financial security, more meaningful or challenging work, or more time to focus on your personal goals, the Third Quarter will give you the opportunity to find out how to live your most prosperous life! We’ll have a presentation on financial prosperity by Financial Advisor Laura Jarrell, and, in CLUB Member Kristi Royse’s workshop, you'll create the personal strategic plan you need to make your dreams and goals a reality. The CLUB was founded on a philosophy of women helping women, recognizing that we all have special talents to share and everyone benefits when we help one another succeed. Adding to that, numerous studies have found that giving back is a critical component of well-being and that people who give back are happier and more fulfilled. In the Fourth Quarter, we’ll put that advice to use and find out how we can get more happiness and fulfillment in our lives by giving back, both within the CLUB and in the broader community. We’ll also celebrate the CLUB’s 4th Anniversary at the Anniversary Party where we’ll have the opportunity to connect, reflect, and set our aspirations for 2017! We’re looking for Event Chairs for our 2016 events. Chairing an event is a great way to develop your project management, presentation, and marketing skills while becoming more involved in the CLUB! If any of the above events pique your interest and you want to learn more about what it takes to chair an event, please contact Jennifer Lotz. The Mentoring Committee expanded the mentoring program with new program offerings in 2015. We hosted two micro-mentoring sessions with the Programming Committee (resulting in over 60 mentor-mentee connections at the events) and launched the pilot Mentoring Circles program (a year long, in-depth mentoring program to develop personal brands and career plans). In addition, we continue to support one-on-one and small group mentoring. Apply to be part of the Mentoring Circles Program. The Mentoring Circles Program is designed for members with eight or more years of experience who want to define their personal brands and career plans through self-exploration and reflection, thought partnership and continuous growth. Through this eight-session program, participants will be challenged to explore their values, strengths, purpose and goals to generate these outcomes. Participants will exit the program with solidified personal brands and networking strategies to meet their career goals. For more information and to apply, please click here. Reach out to a CLUB member for mentoring. Over fifty CLUB members have offered to mentor fellow members—either as a micro-mentor offering targeted coaching in a single session, or as a formal mentor offering regular, in-depth mentoring. More details about the program and how to find a mentor are available here. Stay tuned for our launch of virtual micro-mentoring sessions this year. A micro-mentor will lead a small group discussion on an online video conferencing platform that is easy to use with your laptop, tablet or mobile phone. We’ll also be hosting our annual in-person micro-mentoring event in the second quarter. Thanks to all the CLUB members who joined us for two great Philanthropy Committee events in 4Q 2015. The first event was in October, where a team of Club members volunteered during the evening to sort fruit for the hungry. We had a fun time getting to know each other while helping others and hope more can join us next time. Then, in November, many thanks to everyone who donated toys (or money for toys) for foster children in conjunction with our anniversary party. The toys and donations have been delivered to Sleep Train and CLUB members helped make many foster children very happy this year! Sponsorship is available for many levels. If your company is interested in sponsoring The Club, please reach out to Megan Jones now. It is a great way to show support for women across a broad platform in Silicon Valley. 2015 was a growth year for The CLUB, and we would love to get your feedback on what worked for you and what we can do better. Whether you attended programming events, interacted with our segments, or participated in the mentoring program, we'd like to hear about your interactions with The CLUB. We were encouraged by the results from our inaugural "CLUB Effect" survey, and this year we are again asking you to tell us how the CLUB helped you. We will use the survey results to focus our efforts this year and to make the CLUB work for you! Your feedback is important, so please respond before the survey closes on February 5. Last year was the CLUB’s Incubator’s pilot program year. Erin Brooks Sawyer (Purchasing & Supply Chain Executive), Jennifer Adams Draffen (Facebook), Michelle Garrison (Synopsys), Alice Katwan (Genesys), Donna Kolnes (Adobe), Katherine Mendonca (Apple) and Mindy Morton (Procopio) formed the inaugural class of the Incubator. The 2015 Incubees use words like “motivating”, “inspiring” and “empowering to describe the program. They found it helped push their boundaries to engage in new areas, helped them better understand and draw upon their strengths, achieve personal aspirations, and inspired them to take their career to the next level and give back to others. Front Row, Left to Right: Judith Coley (Ushur), Joselle Deocampo (PwC), Heather Jerrehian (serial entreprenuer), Laura Fechete (mechanical engineer), Anuradha Gali (Shutterfly). 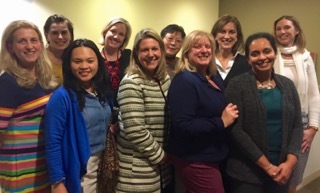 Back Row, Left to Right: Olga Mack (ClearSlide), Megan Jones (Hausfeld), Sue Gong (Xilinx), Elizabeth DiGaetano (HelloSign), Leedjia Svec (NASA). We encourage you to watch the fantastic women of the Incubator program as they continue to build their career and public presence - and to consider the Incubator program for you and other talented colleagues in the years to come. 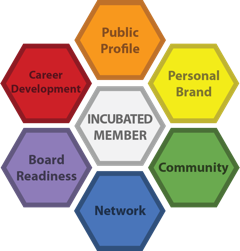 The Incubator is an annual program structured around 6 “honeycomb” areas which provide the main focus of monthly meetings and are sequenced in order to be introspective at first and then build progressively to a more external focus. Kristi Royse, an executive coach, helps guide the career development segments. External speakers from organizations like LinkedIn and Glassbreakers help round out the content. Mindy Morton helps co-direct the program with Kristi and founder Laraine McKinnon. More information may be found at: www.theclubsv.org/incubator. The CLUB is thrilled to announce Judith Coley, Chief Marketing Officer at Ushur, Alice Katwan, Vice President of Sales, West Region at Genesys and Mindy Morton, Senior Counsel at Procopio, Cory, Hargreaves & Savitch LLP, will join the CLUB's Board of Directors in 2016. 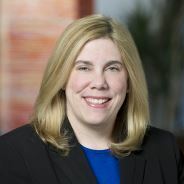 Working in sales at enterprise software companies for nearly 20 years, Alice Katwan leads the Genesys North American West Commercial and Operational activities, which accounts for half of the company’s North American revenue. In 2015, Alice was honored with the Silicon Valley Woman of Influence award and was appointed as an advisor at the venture-funded startup Mesosphere Inc. Alice is passionate about promoting women’s leadership and regularly speaks about how women can succeed in traditionally male-dominated areas, specifically in sales, in high tech and as executives. Mindy, an active member of the CLUB since we launched in 2012, is an internet and intellectual property litigator with a passion for litigating cutting-edge cases at the intersection of technology and free speech issues. She also helps clients resolve disputes involving trade secret, copyright, trademark and patent issues. She is dedicated to doing the right thing the right way. She believes in giving back to the community and mentoring other women, and is active with several nonprofit organizations in the Bay Area. Judith, Alice, and Mindy will join existing board members Kristiane Koontz, Karen Catlin and Laraine McKinnon to form the CLUB’s 2016 Board of Directors.